We’ve had five off topic post in the history of Anything Palmeiras: four recent ones related to the World Cup in Brazil, and then the one in homage to the greatest football goal of all times. It’s Zlatan time again. Yesterday, Ibra scored twice in Sweden’s friendly against Estonia to become the country’s all-time leading scorer with 50 goals in 99 appearances. Both braces came in the first half. After scoring the record setting goal, Zlatan removed his jersey to reveal a message underneath, addressing the fans: “You made it all possible”. 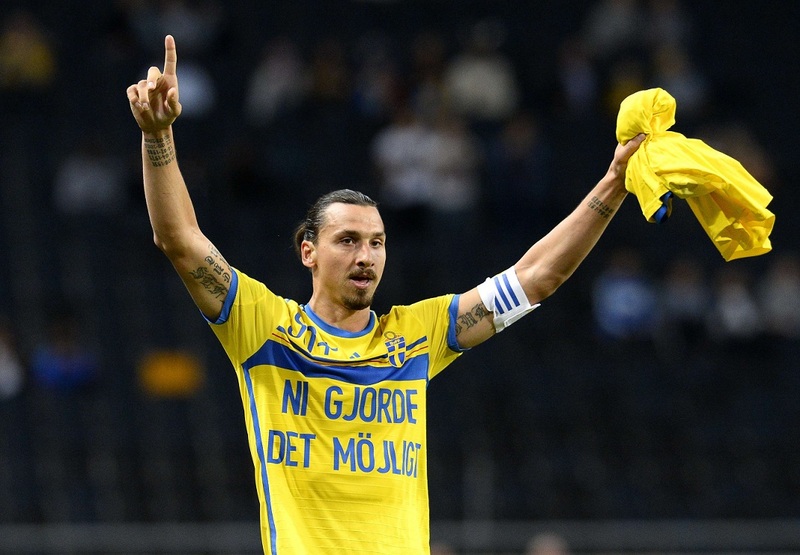 Ibrahimović takes the long-standing record from Sven Rydell, who scored 49 goals in no more than 43 appearances for Sweden between 1923 and 1932.